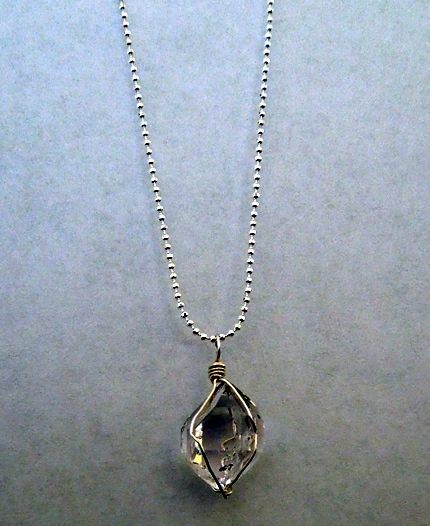 Notes: A sweet gumball shaped Herkimer crystal hangs from an 18" silver ball chain necklace. 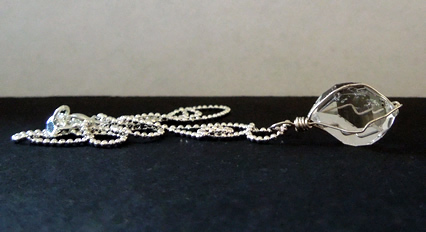 Measuring 19x13x11.5 mm / 17 ct. it's water clear and double terminated with 18 natural facets. 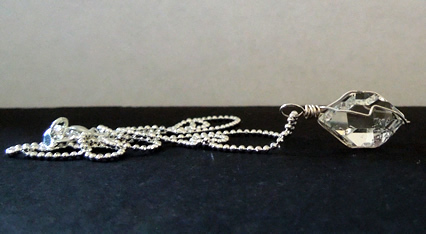 Wrapped in sterling silver, this quality Herkimer crystal necklace really has a young vibe to it.